For as long as mankind has been around, we have had the desire to learn how to have a fulfilled and meaningful life? In my personal experience, I have discovered that the best way in which to feel a sense of accomplishment in life is to learn something new. The reason that people do not feel accomplished is that they are doing the same old-same old day after day. There is no excitement or motivation left in us when we hit a plateau and become stagnant in life. Happiness and the feeling of excitement is a conscientious decision that requires self-motivation and it can be attained through personal and professional development, the two keys to a healthy and fulfilled life. An active mind is a healthy mind, it is one that can think outside the box and come up with solutions. Those who use online courses to learn professional skills such as emotional intelligence, leadership, negotiation, problem-solving, and conflict resolution, are likely to use these skills in their personal lives as well. The two go hand in hand, you cannot separate professional development and personal development. And where it is true that there is a level of disassociation that you may have with your job and home life, the good qualities which make you a professional (such as being empathetic, energized, and a problem solver) should carry to your home life. Professional Development Courses require a level of self-motivation and help in the personal development of various sectors of your character. Where this may be a bit of a new experience to some people, it is not a bad thing at all. Think about it. If you develop the ability to handle conflict through online courses, then you will be more equipped to deal with the problems that arise at home. It is not that you are just developing professional development skills, you are building life skills. Secondly, professional skills help you to be more at ease within a business environment. By understanding the principles which make a business successful instead of being reliant on another individual to convey these concepts to you, there is less frustration and stress. Reducing your stress level is key to having a long and healthy life. One of the reasons that people feel that their life has no meaning is because they are not progressing in their personal or professional life. They are stuck in the proverbial ‘rut of life’. This leads to a number of health issues including depression, obesity, high blood pressure, mental stress, loneliness, etc. On the other hand, if a person achieves something new then that person has reached a milestone in his or her life. It is a hurdle that has been crossed and the information that has been learned provides the stepping stone from which the person can be self-motivated to continue on in their personal and professional development. Achievements and accomplishments give a person professional worth, personal worth, self-confidence, self-motivation, happiness, A less stressful life, A sense of fulfillment, etc. Online courses offer the opportunity to learn and enhance your skills at your own pace. It gives you the flexibility and convenience to learn what you want when you want without the pressure to meet certain expectations of your peers. Online course empowers you before you even begin to study the content. This helps you to get self-motivated. Finally, by taking an online course you get a higher sense of achievement than if you took a course at a school where the professors and students would expect you to attend a rigid schedule. Generally, online learning courses are left up to you to come and learn. You have to be self-motivated to take the class. Where this may be a challenge at first, in the end, your sense of accomplishment and personal worth will be stronger for it. Do You Want to Get Started on Your Journey to A Healthy and Fulfilled Life? 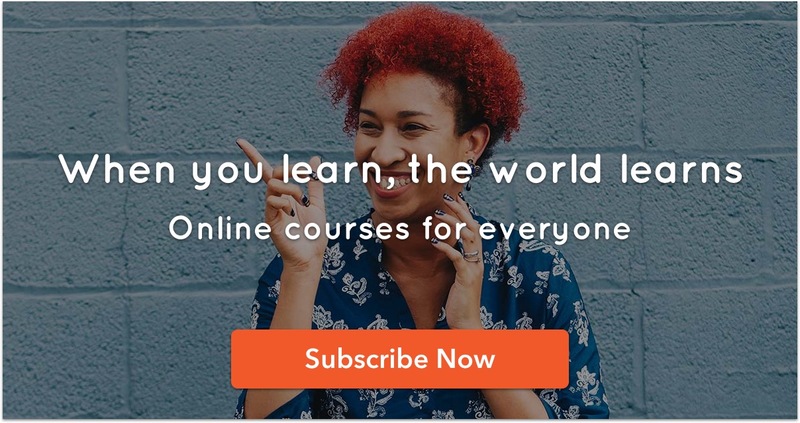 LearningOnline.xyz loves creating online learning lifestyle solutions that help people build happier, more fulfilled lives.